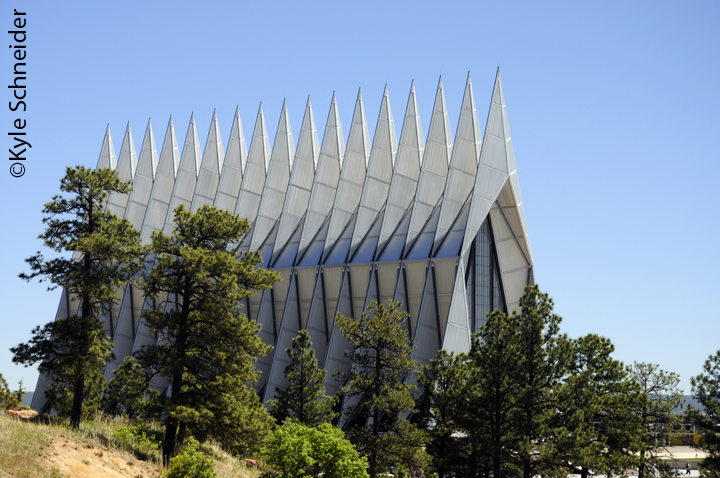 The 150 foot tall Cadet Chapel is the most distinctive feature on the grounds of the United States Air Force Academy in Colorado Springs, CO. Its aluminum, glass and steel structure is noted piece of American architecture composed of 17 spires. The interior of the chapel contains Protestant, Catholic, Jewish and Buddhist sections along with all-faith rooms. 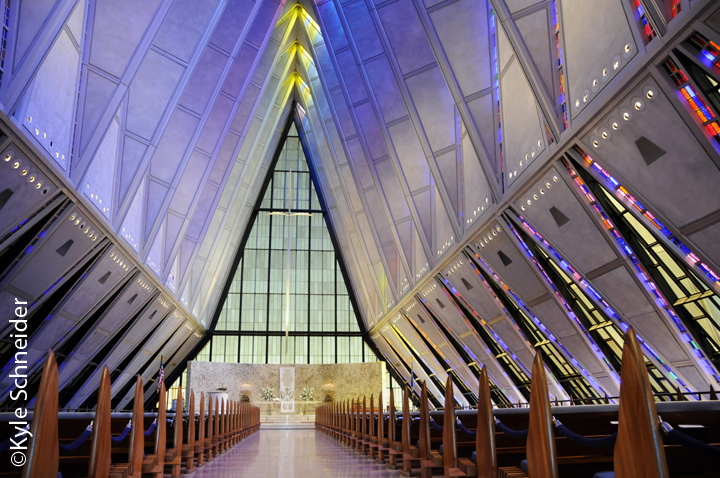 The 150 foot tall Cadet Chapel is the most distinctive feature on the grounds of the United States Air Force Academy in Colorado Springs, CO. The upper floor of the chapel, with a 99 foot pinnacled ceiling is the Protestant Chapel. The chapel seats 1,200 and the pews are designed such that the end of each pew represents a World War I airplane propellor. The backs of the the pews resemble the leading edge of a fighter wing. 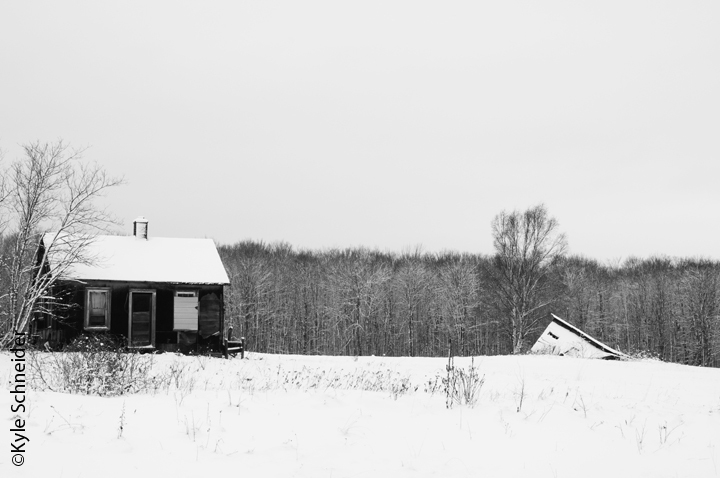 I found this cabin between Seney, MI and Germfask, MI while traveling between my parent’s home in the Lower Peninsula and my home in the Upper Peninsula. It really speaks about the economic conditions in the area. Sadly, this isn’t an uncommon sight when traveling through the area. 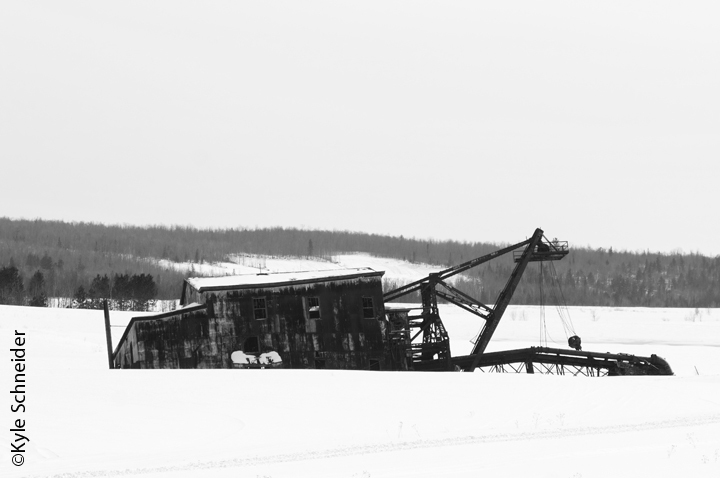 Originally built by the Calumet and Hecla Mining Company in 1913, on Torch Lake, this dredge was sold to the Quincy Mining Company in 1951, prior to closing their reclamation plant in 1952. Quincy then operated the dredge, renamed as Dredge Number 2 (Dredge Number 1 sank in a winter storm on January 15, 1956) until it sank in the winter of 1968. The dredges were used to pump old mine tailings (crushed rock) out of the lake and reprocess them, profitably removing copper missed during the initial processing of years past. Over the years, the Dredge Number 2 has steadily decayed and now sits half sunken on the shore of Torch Lake. 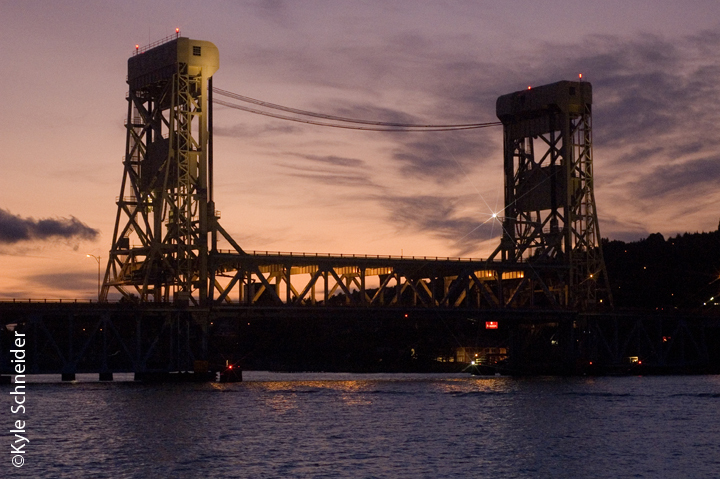 The Portage Lake lift bridge connects the cities of Houghton and Hancock in the Keweenaw Peninsula of Michigan’s beautiful Upper Peninsula. Built in 1959, this it the largest and heaviest double-decked vertical lift bridge in the world.